There is nothing better for handling email and messaging. Actually, that's the definition of a BlackBerry. 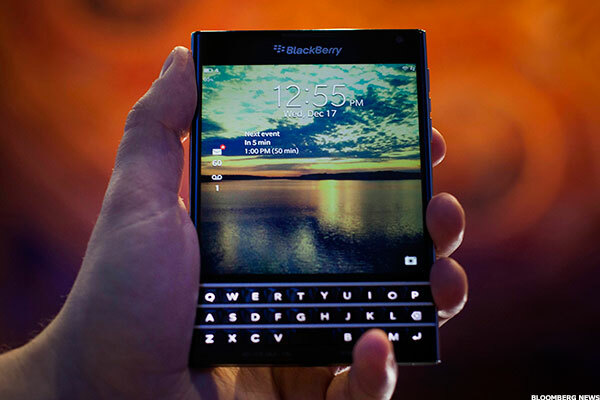 NEW YORK (TheStreet) -- Last month, I published a review of the BlackBerry (BBRY Passport - an unusually square-shaped, high-end smartphone. What I found is that while I was in favor of it, perhaps my praise wasn't strong enough. At the time, after what I realize now was a relatively short period of time with the device, I concluded that I liked it. I thought it was innovative in a number of ways but being held back by its lack of a huge warehouse of apps like competitors Google (GOOG - Get Report) and Apple (AAPL - Get Report) provide for their smartphone products. If you're used to the way other smartphones handle your messages, you're in for a treat. Instead of using separate apps for separate types of email and messaging, BlackBerry Hub centralizes all of your dispatches in one easy to manage place. That means Hub handles messages from multiple email accounts (of all types), multiple text message accounts including BlackBerry's own BBM service, Facebook (FB - Get Report) , Twitter (TWTR - Get Report) and LinkedIn (LNKD mail, breaking news alerts (if you subscribe) and voice call logs and messages all in one place. Yes, it takes a few minutes to get the set-up right, but once you do you realize just how terrific this really is. You can quickly review, edit and respond and go on with your business. If that sounds vaguely familiar - it should. That's what BlackBerry has always been known for. It's very square and that makes it different. And yes, square means some rectangular photos and videos won't fill the entire screen with images. But, I've found that the screen is pretty amazing to look at, work and live with. Actually, I've found the screen is a magnet for comments from interested passers-by. I've fielded more questions from people who've seen me using the Passport than any other smartphone in recent memory. That's in sharp contrast to absolutely no one giving a second thought to seeing a Samsung (SSNLF Galaxy Note 4, Motorola Nexus 6, LG G3, HTC One(M8) or even the super-rare One Plus One phones. And, no one ever glances away from their Apple iPhone to look at an Android model. But, everyone wants to know about the Passport. Questions like "What is THAT? ", "That looks like a TV!" and "Can I try it?" happen all the time. Whether they'll drop everything to rush out and buy one is another story, but it is interesting. The Passport's keyboard is pretty revolutionary when compared to other BlackBerry's. Unlike what the company used for its most recent release, the throwback Classic, the Passport has a three-row physical keyboard which functions as an input device for alphabet letters only. Above the keyboard, is a series of pop-up, touchscreen keyboards/keypads for numbers and punctuation. Once you get used to where everything is I find the layout speeds typing compared to all the contortions you have to deal with on the Classic's old-fashioned keyboard. The keyboard also functions as a giant mousepad. When you're surfing the Web or reading a list of items, a light swipe up or down on the keyboard moves the page in that direction. It's better than smudging the screen with your fingers or trying to deal with the frustrating nub if a pointing devices on older BlackBerry models. The BlackBerry Passport sound great. There are stereo speakers on the bottom edge and the sound quality is pretty terrific. At times I wish it went a little louder (to eleven or beyond) but what's there is great to listen to. The sound quality extends to voice calls as well. Compared to any of the Android phones I've mentioned the Passport makes callers sound like they're right next to you. Not everything is fun and games with modern BlackBerry phones. You have access to all the apps available from the BlackBerry World store as well as some (but by no means all) Android apps from Amazon's ( AMZN - Get Report) Appstore. There are icons provided which lead directly to both repositories. Unfortunately, there is nowhere near the number of apps available on the rival mobile platform which puts BlackBerry at a distinct disadvantage. There's also the fact that some of the apps offered are just Web links which open a page in BlackBerry's super fast Browser program. Many of what I consider the basic programs are there (for instance Facebook, Twitter, YouTube, Spotify, Slacker Radio, IMDB) but other apps I like using aren't. While some Web destinations work perfectly in the browser, some services like Tidal's high-fidelity music streaming site balk when you try them. If gazillions of apps are that important to you look elsewhere. BlackBerry is not the right choice for you at this point. But, if you're in the market for what is still the best, most secure email/messaging system on the planet built inside a uniquely-shaped, hardware gem of a smartphone then BlackBerry's Passport needs to be on your shortlist of options. It's not perfect, but it comes closer than any other BlackBerry in the company's history. To submit a news tip, send an email to tips@thestreet.com..